Why Motorbike Tour is the most popular tourist activities in Nepal? Motorbike Tour in Nepal is most popular adventure holiday for tourist since couple of years. A cycling tour is possible to do in any part of Nepal. Furthermore, you can use a motorbike to visit local villages, beautiful rivers, mystical hills, experience the sunrise-sunset, and the valleys. Moreover, visit the scenic countryside along the most popular trek and the hundreds of years of an old monastery, ancient caves, local tribes and scenic beauties of the different landscapes including the world’s deepest gorge of the Kali Gandaki River. No matter whether you visit Kathmandu city or to Mustang, It is always very interesting for adventure lovers. Nepal Motorbike Tour is possible to arrange almost all parts in Nepal. 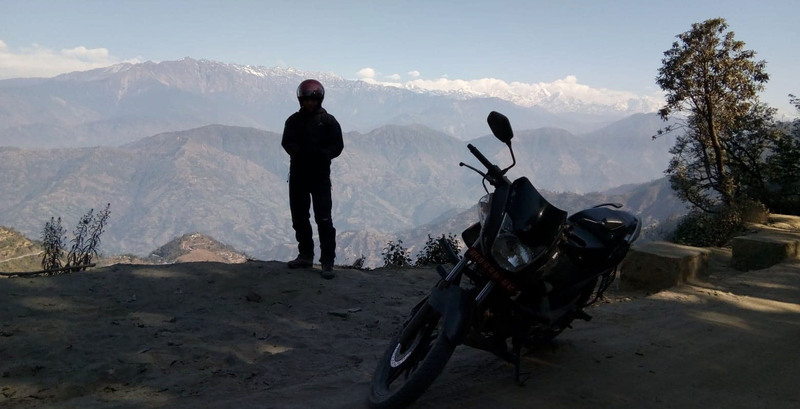 You can do a motorbike ride either in Pokhara city or in Kathmandu to get better scenery of mountains and cities. Pokhara is a paradise of beautiful mountain’s scenery and pristine lakes. There is some hill station which is also equally popular for hiking together on your cycling tour. Besides that, you can the Annapurna massive including Dhaulagiri and Manaslu mountains which are above 8,000 meters above sea level. The best time to visit zip flying with Annapurna trek is either on Spring (March to May) or Autumn (October to December) in this time weather is very clear. So you can see the pristine Himalayas and beautiful landscapes. Take a review about Annapurna Trek combine with mountain bike tour in Tripadvisor.